I’m bringing up Ernest and Celestine to the winner’s circle for the Oscars and Annies; the little foreign picture has to win sometime, and a weak crop plus actual early buzz on this may do it. Or, the Academy could play it safe again and go for Monsters University; hey, it’s a Pixar prequel, but I kind of liked it. Turbo flopping like I predicted plus that horrible Frozen trailer caused some other shuffling in the nominee list. My Ursa Majors predictions are basically everything that sorta qualifies; Ernest and Celestine has to win the Academy Award to even be a nominee, mind. My Little Pony: Equestria Girls and Monsters University are the only sure nominees; the winner is really up in the air. For those of you just tuning in, go back and read this column; talk of an alternate universe will make a bit more sense. To kick off this round, we have an obvious winner, despite much tougher competitors. 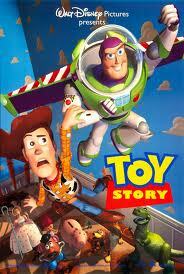 The Annies didn’t even bother to nominate anything but Toy Story; it was the third, and last, movie to gain a Special Achievement Award in animation in our universe, and the first animated movie to gain a screenplay nomination (Best Original Screenplay). At the Oscars, it lost twice to another animated movie, Pocahontas, in Best Musical or Comedy Score and Best Song. Ironically, Pocahontas was conceived somewhat as animated Oscar bait after Beauty and the Beast’s nomination for Best Picture. Though A Goofy Movie gained an Annie nomination due to the wacky eligibility year, I’m passing over their pick for another movie to round out my nominee list. This time, I think the final spot would go to the furry favorite, Balto. This would probably be the closest race in the history of the races. I expect it would play out a lot like the Happy Feet upset over Cars, except in this case Disney played the part of the perennial favorite expected to win with a weaker movie just because it always does, instead of Pixar. 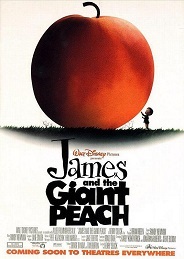 I’m going to give this one to James and the Giant Peach over heavily favored to win The Hunchback of Notre Dame. This would make Henry Selick the second two-time sole director of a movie to win this award, after Don Bluth, in this world. Ironically, Henry Selick would compete against a stop-motion Roald Dahl adaptation in our 2009. For the final nominee, I would go with another upset; most would have predicted Space Jam, even if it was only partially animated, but I’d give the nod to cult anime import Ghost in the Shell, making it one of the earlier foreign movie surprises. 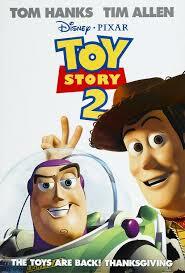 After a half a decade without a gap, 1997 yielded only six movies. Luckily 1998 featured nine. This was a year of dueling ant movies, with upstart DreamWorks Animation’s Antz against still pretty new Pixar’s A Bug’s Life. I guess both would be nominees, making this year the first to feature two CGI movies. However, I suspect the ultimate winner would be another DreamWorks Animation production, The Prince of Egypt. 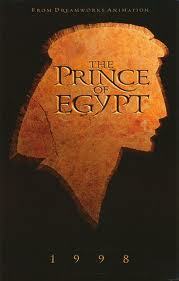 The Prince of Egypt was the only animated movie to take home an Oscar that year, winning for Best Song. This would also make Brenda Chapman a double winner in this universe after her win with Brave this year. Ironically, despite both A Bug’s Life and The Prince of Egypt being nominated in Best Musical or Comedy Score, the award (started mostly due to animated movies) would instead go to upset Best Picture winner Shakespeare in Love. Years ending in nine are good for animation; 2009 gained a reputation as animation’s anno mirabilis, with enough films made to warrant a five-nominee field, and worthy movies still sitting out on the bench. Likewise, 1999 was packed to the gills with worthy animated features; unfortunately, it’s still just a three nominee year with 10 movies. Toy Story 2 would be the deserving winner, giving the Toy Story trilogy the sweep, and Tarzan would probably be the safe, dependable Disney nominee despite the fact that three more fondly remembered movies would be left to fight it out for the third spot. The Annie-winning Iron Giant, the Japanese entrant for the Best Foreign Language Film, Princess Mononoke, and surprise Best Song nominee South Park: Bigger, Longer and Uncut all would have deserved a spot. Since it has the Oscar nomination, I’m going to go with South Park. I just wish the imaginary alternate universe Academy members weren’t so Disney-biased. With 13 movies, 2000 would be a four-nominee year under current rules, but we’re going to say that rule came into effect last year in the alternate universe as well, so still just three nominees. 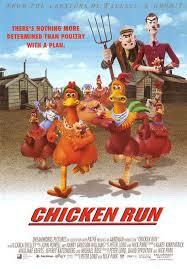 The obvious winner would be Chicken Run; that the movie gained no nominations at the Oscars, especially Best Picture, is usually thought of as the final snub that directly lead to forming the category of Best Animated Feature. Once again, the Disney movie would be the obvious second nominee, though The Emperor’s New Groove is much more deserving this time around. The final nominee choice comes down to two: DreamWorks’ The Road to El Dorado, or another Bluth film, Titan, A.E.. Titan was a flop, but a noble flop, so I’ll go with it. Nominees: The Emperor’s New Groove, Titan A.E.